CORE Fire Protection provides superior fire protection for commercial kitchens and is ideal for use in restaurants, nursing homes, hospitals, schools, hotels and other facilities. CORE Firestat - The Firestat is a device installed in the hood's duct connection that measures temperature. The standard temperature setting is 360°F. If a temperature higher than the set point is sensed or a rapid rate of rise is detected, the Firestat contacts will close and energize the fire system. Electric System with Battery Backup - The detection and pull station for CORE comprise an electric circuit that is connected to a battery backup system. In the event of a power outage, the power to all gas and electric appliances must be disrupted through the use of electric gas valves or shunt trip breakers. The battery powers the detection and pull station circuits, as well as monitoring those devices. CORE Circuit Board - Provides all the necessary monitoring, timing and supervision functions required for the reliable operation of the CORE Fire Protection System. If a fault is detected anywhere in the CORE system, the audible alarm will periodically sound and the "Fire System Activated" light will flash a fault code or message via control package to indicate the specific fault detected. Supervised Loop - The supervised loop incorporates both redundancy and fault detection. It is the means by which fire sensors and pull stations are connected to the CORE system. Duct and Plenum Spray Bar - The spray bar extends the full length of the hood immediately behind the filters. The bar is 3/4" brass fittings with nozzles that spray directly toward the back of the hood. 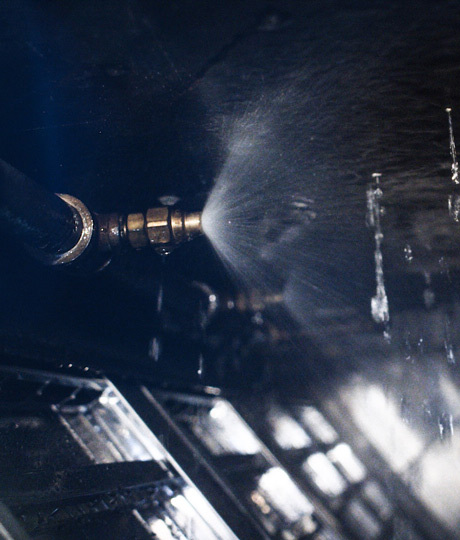 During the wash cycle at the end of the cooking period, hot water mixed with surfactant is sprayed for three minutes to remove grease build-up in the duct and plenum. Surfactant is a detergent used to increase the effectiveness of the cleaning. Upon fire system activation, water is sprayed along the length of the plenum and into the duct to suppress the duct and plenum fire. The extinguishing agent for the duct and plenum is water injected with surfactant. The addition of surfactant aids the water in coating the greasy fuel and in spreading the cooling effect of the water to the fire. 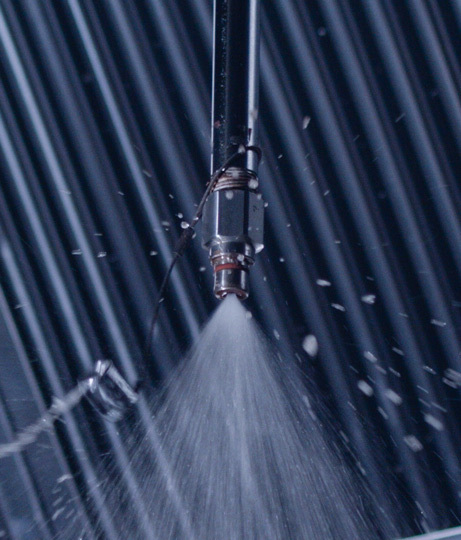 Total Flood Protection Nozzles and Lines - The discharge nozzles have been tested to ensure overlapping spray for the hazard zone. Each nozzle must have a metal blow-off cap to keep the nozzle tip orifice free of grease build-up. Heat Recovery Coil - A listed coil accessory can be added to the hood plenum to recover heat from the exhaust air stream. The heat recovery coil is factory installed behind the hood filters and under each hood exhaust riser. Warm air in the exhaust stream passes over the coil and heats the cold water in the coil, acting as a preheater on the hot water supply line for the restaurant or facility. The coil recovers heat energy which increases water heating efficiency and reduces energy costs. 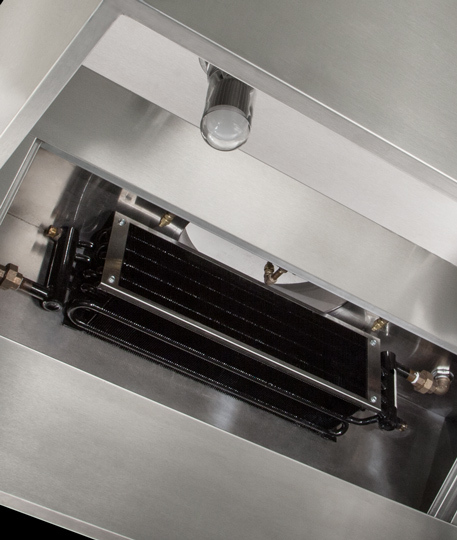 The Heat Recovery Coil option is available for hoods with CORE Fire Protection. 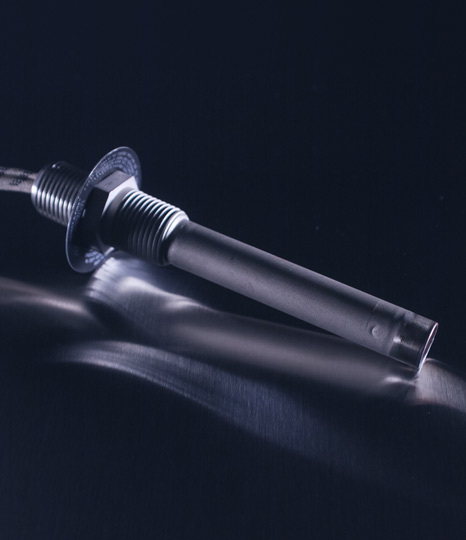 The coil has a specialized e-coating to prevent grease build-up on the coil. The self cleaning function of the hood ensures that the surface of the coil is washed daily to ensure proper heat transfer. Each coil is equipped with manual shut off valves for service and maintenance. The prevention and defense of fire in commercial kitchens is critical. CORE Protection is designed to provide primary coverage for hood plenum, grease ductwork and cooking appliances. The CORE Protection System is a water-based fire suppression system ETL listed to UL Standard 300 and ULC/ORD-C1254.6. Total Flood Protection for appliances and Duct & Plenum coverage. Total Flood offers simplified piping and nozzle placement to cover all appliances in the hazard zone under the hood. The nozzle placement and spray pattern overlaps the hazard zone and allows for increased flexibility for appliance type and location under the hood. Duct and Plenum coverage is provided via a spray bar that extends the full length of the hood immediately behind the filters in the hood. The system is capable of automatic detection and actuation via an electric thermal detector located in the hood and duct connection. When the temperature exceeds the rating of the sensors, the CORE Protection is engaged. The superior cooling effects of water are utilized for rapid flame knockdown and quick extinguishing of the fire. Remote manual activation is also available via a remote pull station. The CORE Fire Protection Fire System is ETL Listed under Report number 3132231SAT-004 to UL Standard 300 and ULC/ORD-C1254.6-1995; meets requirements of NFPA 96 (Standard for the Installation of Equipment for the Removal of Smoke and Grease-Laden Vapors from Commercial Cooking Equipment); NFPA 17A (Standard on Wet Chemical Extinguishing Systems). The CORE circuit board is an ETL Recognized Component under Report number 101196419NYM-001 to UL Standard 864. 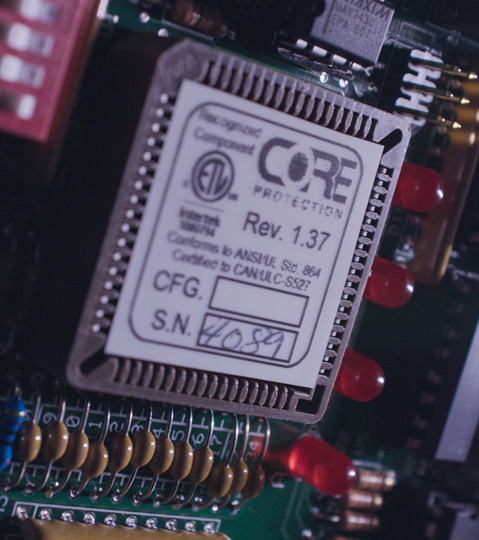 The PCBCORE board is certified as a releasing service for the CORE Protection Fire System.